Charming 3-4 bedroom Cape Cod style home in the sought-after Shand Tract neighborhood of Tredyffrin Twp. Neutral d cor and gleaming wood floors are highlights of this warm & inviting home. The .71 acre lot has a fully fenced rear yard with an expansive patio. Stately trees and specimen shrubs border the yard for privacy, but there is plenty of level lawn for recreation. The private setting offers scenic views of nature, yet is convenient to train, shops & restaurants in Devon, Berwyn, & Wayne. Center Entrance Hall leads to a bright Living Room with a gas fireplace. Glass French doors provide sweeping views of the rear yard. The spacious Dining Room is open to the renovated Kitchen, which has stainless appliances, shaker-style cabinets, and limestone tile flooring. The 1st floor Master Bedroom has 2 large closets and is across the hall from a recently renovated full BA with a tub/shower enclosed by sliding frameless glass doors. A nearby Bedroom has a wall of built-ins and is currently used as a Den/Office. The main level is completed by a renovated Laundry/Mud Room with built-in cabinets, updated Powder Room, and direct access to the 2-car attached Garage. Upstairs are 2 more bedrooms, and a 2nd Full BA. The 4th BD accesses a partially finished Bonus Room. Several large closets and an unfinished Basement offer ample storage space. 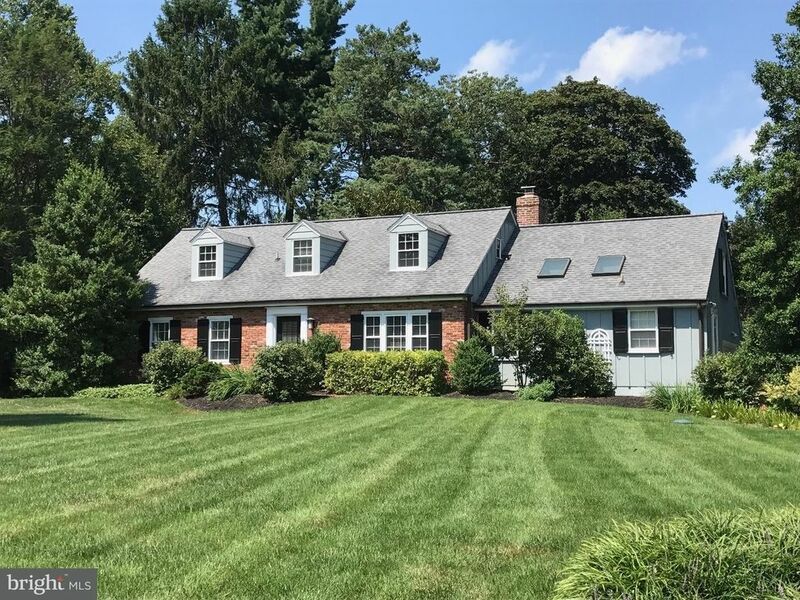 This property is located in top-ranked T/E School District and offers easy access to the Chester Valley Trail, Strafford Farmers Market, Valley Forge Park, King of Prussia, corporate centers, and Center City. The Shand Tract is a warm & inviting neighborhood with organized activities such as progressive dinners, hay rides, a 4th of July Parade for the little ones, and other social events year-round. Residents enjoy views of many renovated properties with beautifully landscaped yards as they stroll the quiet, winding streets with friends, family, or pets.